If you own a Roku set top box you can now watch all of our Live Streaming events easily on your big screen TV or projector by adding our Roku Channel to your line up. 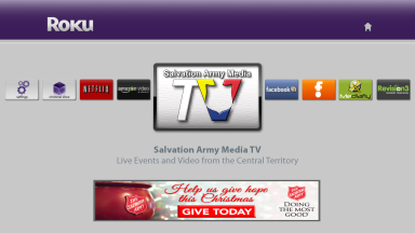 You can add our channel by clicking here and signing into your Roku account (the channel is Free). The access code is TP68U (If the code is not entered automatically). 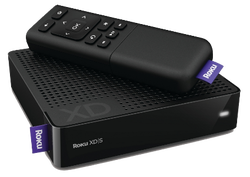 If you don't own a Roku box yet and are interested in learning more about the inexpensive little box, (starting at $59) that will allow you to stream our live events as well as other online content, click here to go to their website or visit your local Best Buy store to pick one up (only the XD model is available at Best Buy). If you have audio synchronization issues (audio and video don't match), exit out of the live stream and click WATCH again. That should reset the video/audio stream. 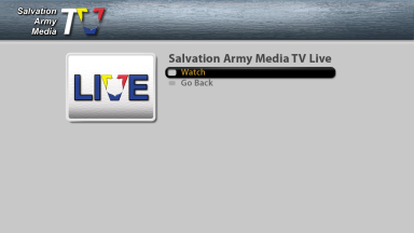 You may notice that the stream on a PC is ahead of the stream on the Roku. This is normal. The Roku is using the same stream used by mobile devices (such as an iPhone or iPad) and that is typically delayed by 30 seconds or so. If you click on WATCH and the screen blinks for a moment and returns to the main screen, it probably means we are not streaming yet or that we may be having technical difficulties. If you loose the connection during the stream and see a message that says "Loading, Please Wait" for more than a few seconds, you will probably have to exit and click WATCH again. This is due to your available bandwidth (internet speed).